Like most states across the country, Wisconsin provides a variety of financial aid programs for its resident students. These programs are designed to help Wisconsin residents find the necessary funds to realize their college ambitions. The government of Wisconsin understands that access to higher education is vital to creating a productive population, and by offering grants and scholarships to deserving students it is possible to bolster the state’s economy and to build a stronger workforce. The State of Wisconsin Higher Educational Aids Board administers a variety of grants, scholarships and loan forgiveness programs designed to put a college education within reach of more of Wisconsin’s residents. These programs are supported by the state government, and offer valuable financial assistance to college-bound students in the Badger State. Students preparing for college, who are looking for financial aid to help pay for their education, need to fill out and submit the Free Application for Federal Student Aid. The FAFSA is required for all Federal and state supported financial aid, and is used to determine the level of financial assistance for which a student is eligible. After the student’s FAFSA has been submitted, they will receive their Student Aid Report , which will outline the specifics of their eligibility for government supported college financial aid programs. Students should make the FAFSA a priority before applying for any grants, scholarships or college loans. Wisconsin state offers a wide variety of general grants and scholarships for its resident students. These programs are not specific to any discipline, and are open to all students within the state who meet the eligibility requirements, and who are enrolled at a state supported college or university. As with any state supported financial aid, award amounts are subject to change according to the availability of funds. The following is a sampling of the financial aid programs currently offered by the state of Wisconsin for its resident college-bound students. The Wisconsin Higher Education Grant – The WHEG provides financial assistance to undergraduate students enrolled at least half-time in an accredited state university, technical college or tribal college. Awards amounts range from $250 to $3000, and are determined by financial need. The Wisconsin Tuition Grant – The WTG provides grant money to undergraduate students enrolled in a degree or certification program at a non-profit, independent, Wisconsin college or university. Eligibility is determined according to financial need. The minimum award amount is $250 per semester, and is renewable for up to ten semesters. 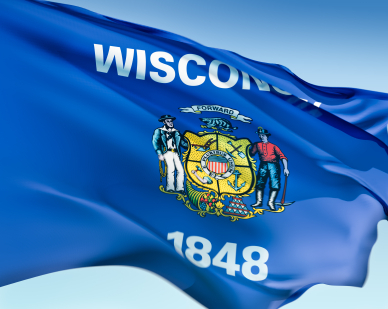 The Wisconsin Talent Incentive Grant – The TIP is designed to provide grant assistance to the most financially and educationally disadvantaged students within the state. The grant is available to freshman students who are enrolled in a Wisconsin state college or university. To be eligible, students must be nominated by their school’s financial aid office, or a counselor of the Wisconsin Educational Opportunity Program. Award amounts range from $600 to $1800. The Indian Student Assistance Grant – Awards under this program are limited to undergraduate and graduate students who are at least 25% Native American. Eligible applicants must be enrolled at a state university, technical college, or tribal college. Award amounts range from $250 to $1100. To be eligible, students must be able to document their Native American heritage. The Minority Undergraduate Retention Grant – This program is open to non-freshman undergraduates who are enrolled at least half-time in a Wisconsin independent, tribal or technical college. Applicants must be either African-American, Native American, Hispanic or Asian-American to qualify. Award amounts range from $250 t0 $2500. The Hearing and Visually Handicapped Student Grant – This grant program provides financial assistance to undergraduate Wisconsin residents with extreme financial need, and who have profound hearing or visual impairment. Applicants must be enrolled at an in-state, or participating out-of-state, college or university. Awards are determined by need, and range from $250 to $1800. The Wisconsin Academic Excellence Scholarship – This scholarship awards money to high school seniors who have the highest grade point average in their school. The number of annual scholarships is based on total student enrollment. To receive a scholarship, students must be enrolled full-time at a participating Wisconsin college, university or technical school by September 30th of the year in which they have been designated as an eligible scholar. Maximum value of this scholarship is $2250 per year. For more details on these grants and scholarships, and for application information, students should visit the financial aid section of the State of Wisconsin Higher Educational Aids Board. Many states offer specific financial aid programs that target high demand professions as a way of retaining talent within the state. Wisconsin offers a number of education loans and loan forgiveness programs for its resident students who are pursuing careers in critical need professions such as teaching and nursing. These are award-for-service programs, and students who receive aid will be required to serve in their professional capacity at an under-served or critical need facility within the state. The following financial aid programs are dedicated to helping Wisconsin students pursuing degrees in high demand professions. The Minority Teacher Loan – This program provides loans to designated minority students who are enrolled at least half-time in a teaching program at an independent or state supported college or university. Students participating in the program must agree to teach in a Wisconsin school district in which minority students make up at least 29% of the student body. The maximum annual award is $2500, and cumulative awards can not surpass $5000. For every year that the recipient teaches in an eligible school district, 25% of the student’s loan will be forgiven. Students who fail to meet their service obligations will have their awards revert to a standard loan, with an interest rate of 5%. The Nursing Student Loan – This loan is available to Wisconsin residents who are enrolled at least half-time in an accredited nursing program at a state college or university. Applicants must be working toward certification as an RN or LPN. The maximum annual loan amount is $3000, with a cumulative maximum of $15,000. For each of the first two years that the recipient works as a nurse or nurse educator within the state, 25% of the student’s loan will be forgiven. The remaining portion of the loan must be repaid at an interest rate of 5%. Students who fail to meet their service obligations will be responsible for full repayment of their loan at an interest rate of 5%. The Wisconsin Teacher Education Loan – This program is available to Wisconsin residents enrolled in a teaching program at the Milwaukee Teacher Education Center. Recipients of the Teacher Education Loan must agree to teach in a designated Wisconsin school district following graduation. For each year the student teaches in an eligible school district, 50% of their loan will be forgiven. If the student fails to meet their service obligations they will be required to repay their loan at an interest rate of 5%. The Teacher of the Visually Impaired Loan – This loan is offered to Wisconsin undergraduate or graduate students who are enrolled at an in-state, or participating out-of-state, college or university in preparation for being licensed as a teacher of the visually impaired. The maximum annual loan amount is $10,000, with a cumulative maximum of $40,000. Participating students must agree to teach in a designated Wisconsin school district, or the Wisconsin Center for the Blind and Visually Impaired. For each of the first two years a student fulfills their teaching obligations, 25% of their loan will be forgiven. For the third year, 50% of their loan will be forgiven. Should a student fail to meet their teaching obligations, they will be responsible for the full repayment of their loan at an interest rate of 5%. Resident students in the state of Wisconsin have access to some of the most valuable financial aid programs in the United States. For details on these programs, and for application information for these and other financial aid services, students are encouraged to visit the dedicated website of the State of Wisconsin Higher Educational Aids Board.